Raw food vegan recipes are in demand these days and growing in popularity. There are a number of reasons why these recipes are in such demand, not the least of which is that they’re very tasty. People today have become aware of the great health benefits that go hand in hand with the raw food diet and are excited to start preparing raw recipes at home. We clarify raw food vegan recipes because there are some on the raw diet that actually consume raw meat, dairy and other animal products. That may work for some, and is a lot more natural than consuming cooked animal foods; however many have objections to contributing of the death or abuse, as in the forced milking of creatures 7 days a week for years on end. Just think if that was perpetrated on a human mother, how would that feel and who would have the right to abuse in such a way. So for us here today we’re talking raw food Vegan recipes. If you have questions about the raw vegan diet let’s get those answered herebefore we go any further. At first raw recipe preparation can seem daunting, and quite frankly there are recipes that take several days to complete, but most are quite easy and don’t require any kitchen equipment that you probably don’t already have. 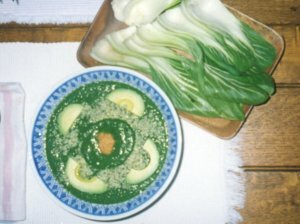 Many raw food recipes can be tweaked just a little bit, using the same basic recipe and technique, but changing up a few ingredients like herbs to change the entire flavor of the meal. Chia and flax seeds can help thicken recipes, sea vegetables and celery can be a salt substitute, and fruits make a healthy sugar substitute. Your imagination is your only limit to the new and exciting raw food recipes that you can prepare. Now let’s take a look at some to give you ideas and get you started.